PITTSBURGH — And James Harrison thought beating a tackle off the edge was tiring. Try logging a 16-hour day on a television set or hitting up multiple auditions throughout Los Angeles. 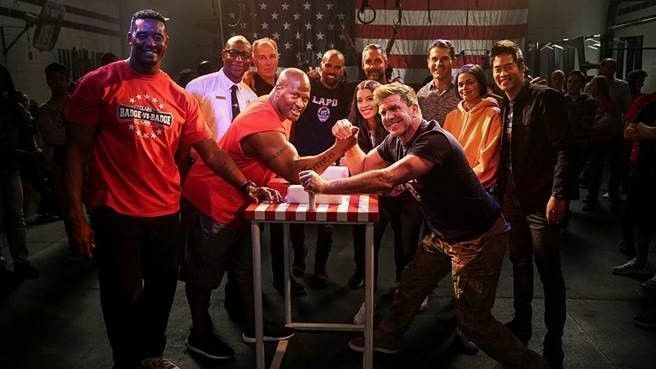 The two-time Super Bowl winner and Pittsburgh Steelers’ all-time sack leader gained a new appreciation for the Hollywood grind during his acting debut on the CBS show “S.W.A.T.,” which shot every scene from multiple angles. If Harrison has his way, and he usually does, the guest spot as a member of the Los Angeles Fire Department will vault him into acting stardom. He isn’t looking for a hobby. He wants a legitimate post-football career. He has signed with Mosaic Entertainment, hired an acting coach and taken dozens of meetings with producers and casting directors since he began flying from Pittsburgh to Los Angeles more frequently. Harrison, who’s also appearing on Fox Sports 1 as an analyst, first considered acting when he retired the first time in August 2014. He added four more seasons and 18.5 more sacks before retiring for good in 2018. As a Steeler, Harrison thrived off toughness, strength and intimidation. He’s finding that he doesn’t need that persona all the time now. Harrison has a non-exclusive contract with Fox Sports, so while he’s out in Los Angeles working for Fox, he can take meetings and table reads. Known as one of the NFL’s most prolific weightlifters, thanks to workouts posted on Instagram, Harrison admits that action films would be “preferable, no question.” He’s built for that. But he’s open to all ideas. He recently read a dramatic part about a family member getting kidnapped and surprised himself with his depth. He has a few famous friends who might help. He shares an acupuncturist with Woody Harrelson, and the two have kept in touch. He knows Samuel L. Jackson and has spoken to Kevin Hart a few times. Harrison knows that will be a process. Once an undrafted free agent cut by multiple teams in the early 2000s, Harrison isn’t fazed by the thought of working his way to stardom. “That’s something that’s going to have to be done,” he said. Harrison has shifted his signature workouts to 4 a.m. to clear the rest of the day for his new career. There’s no looking back. “I loved [football] while I played it, but now that it’s done, I’m enjoying it being done,” Harrison said.